The Auto Folding Scooter weighs in at a mere 27.5kg and folds to a compact size in just 15 seconds. It has a top speed of 4mph and a maximum range of 13 miles on a full battery charge. The auto folding scooter is lightweight and folds to a compact size in just 15 seconds. It has a maximum range of 13 miles on a full battery charge and a top speed of 4mph. The scooter can be folded and unfolded using either the supplied remote control or buttons on the tiller of the scooter itself. 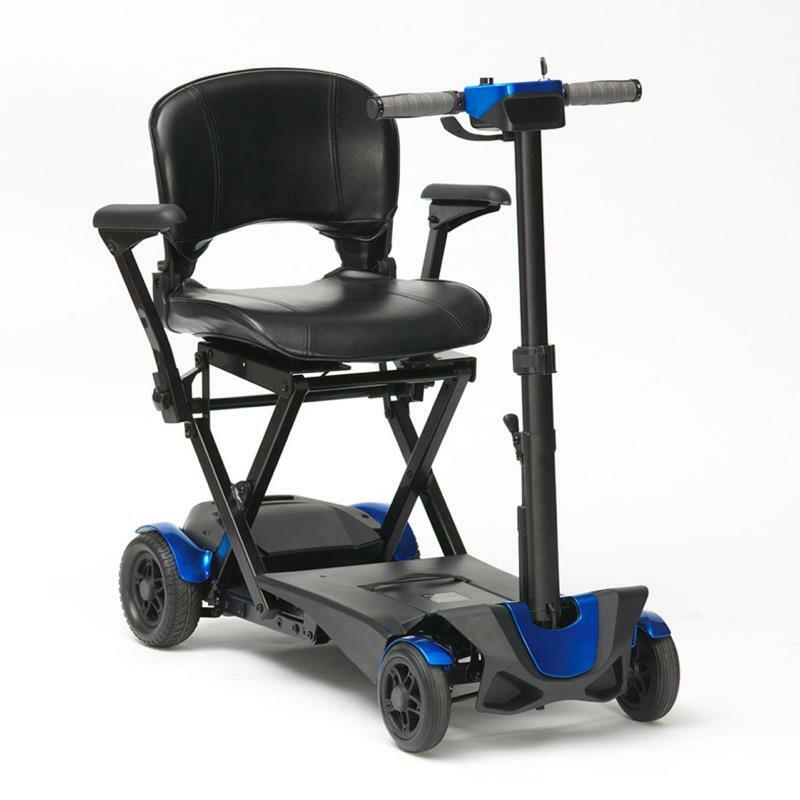 It features a comfortable padded seat and backrest and height adjustable tiller to suit user requirements. Additional features include automatic electromagnetic brake system and solid puncture proof tyres. It weighs in at only 27.5kg making it ideal for taking on a plane, boat or coach.